Robert Secord (1924-93) is known as Mr. Sport and Recreation for being influential in the development of amateur sports and recreational programs across the province of Ontario. 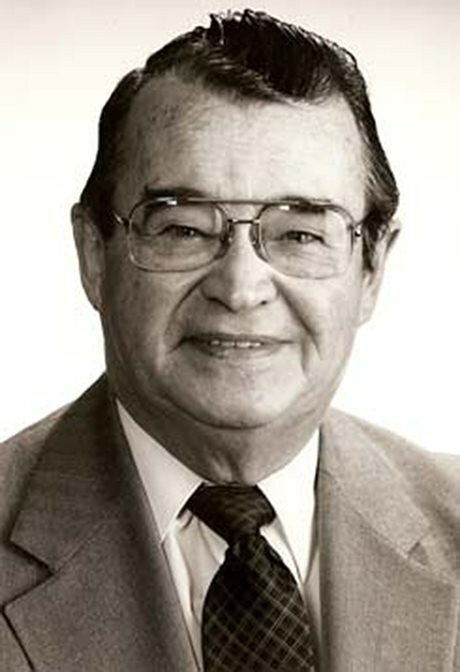 After graduating from the University of Toronto in 1948, Secord was employed by the government of Ontario and was responsible for the development of sport and recreational programs in western Ontario communities. Through his direction in government, the Sports Federation of Ontario and The Ontario Sports Centre were established and financial assistance to provincial sports organizations was implemented. In 1971, Secord played an integral role in the establishment of the Ontario Games. He was appointed Assistant Deputy Ministry of Sport and Recreation in 1980. For his contributions to sport, Secord was made an Honorary Life Member of Sports Ontario, the Canadian Olympic Association and other Ontario recreational societies. Watch Secord as he is inducted into the Hall of Honour for the Canada Games. Read more about Secord on the Canada’s Sports Hall of Fame website. Learn more about the Bob Secord Awards on the Ontario Senior Games website.